Had a wonderful lady come over to visit yesterday. She brought the coffee, I made the scones. These were so good. I want to make more, even though they aren't gone yet! The lemon flavor isn't overwhelming, which is nice. I have steered away from certain lemony desserts because the tart was just too much. Plus, I can get Jason to eat these. Which in turn means I won't eat them all by myself! Preheat oven to 350 degrees. 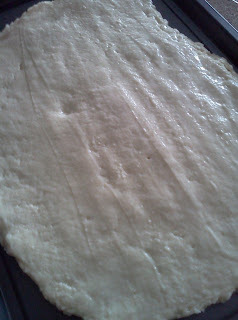 Have an ungreased or parchment lined baking pan set aside. Whisk all the dry ingredients together in a large bowl. Cut in the butter using a pastry blender, your fingers, or a knife. If using your fingers, work quickly! Do this until the mixture resembles coarse crumbs. Add in the milk, lemon juice, and vanilla until just combined. Do not over mix! Turn out onto baking pan. 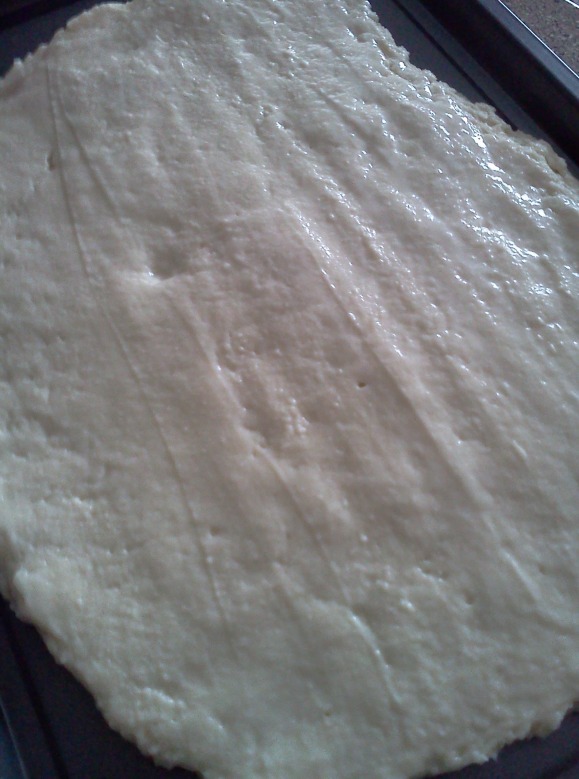 Flatten out, and smooth with a flat spatula dipped in water. 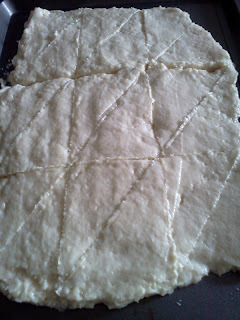 Then cut wedges in dough, like follows. Do not separate! Bake for 20-25 minutes or until light golden brown. 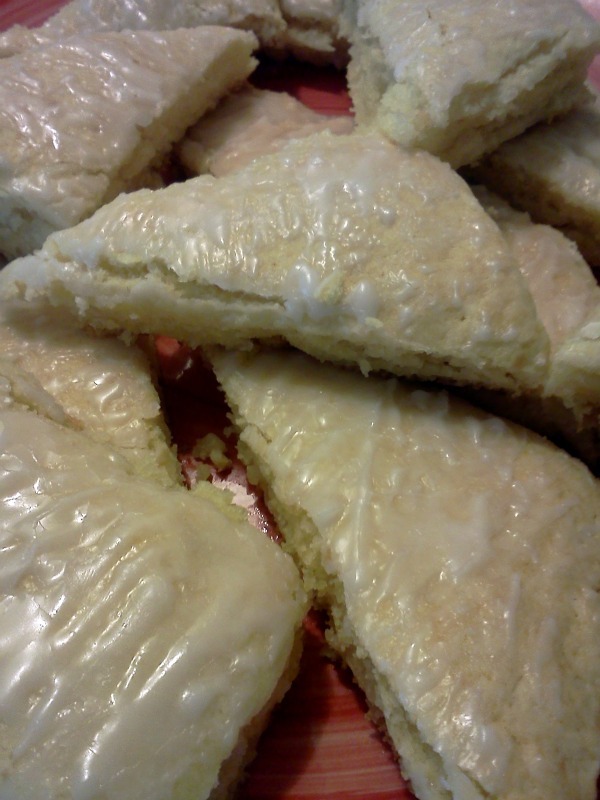 While the scones are baking, mix the powdered sugar and lemon juice. It will be a little thick, but that's okay! Once you take out the scones, brush the glaze over top the hot scones using a pastry brush. Enjoy!